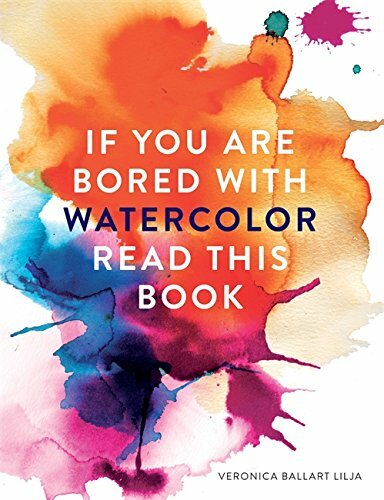 This is an interesting book for those who want to try alternative styles and techniques with watercolour. This 128-page paperback features many simple and easy-to-follow exercises. The style of art featured is more contemporary and casual. So you won't find exercises that teach you how to paint landscapes or architecture. Instead, you will find lessons that teaches you how to use collage or cut outs to create interesting shapes or how to use watercolour with other media. Mostly, the book shows off the different styles and look you can achieve. The artworks from the examples are also quite lovely, which was why I bought this book. They are inspiring and I can certainly see myself going back to the book again in the future if I'm bored with watercolour, as suggested by the book title. Overall, it's a wonderful book that's suitable for artists of any skill level. If you have been painting in a particular style and want to break free, think differently, check out this book.